Reissue coming early 2019 via Allchival. Fully licensed & remastered. 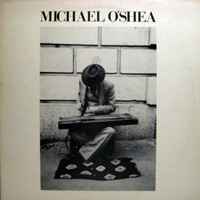 Its worth pointing out that there is another Michael O Shea with an album called Journeys and is no relation to this,just to avoid confusion. This obscure album is produced by members of the British band Wire. They did use the Dome label for some bizarre outlet, strange and interesting stuff.